Happy New Year from Provence! My resolutions? Hmm. All the usual suspects really. 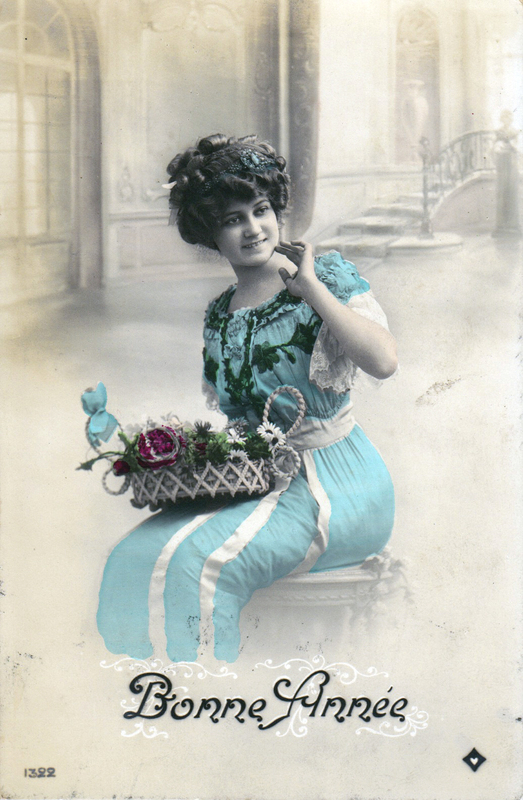 Here is a selection of some vintage New Years postcards in my collection. These are generally from the turn of the 20th century up until the years of WWI. The postcards aren’t simply happy holiday images; some are quite somber (despite their smiling faces) with their effort to uplift soldier’s spirits. Either way, their sometimes odd symbolism, and faded colours are a joy.